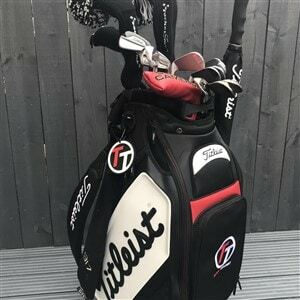 Hi TT, When purchasing a 917 Driver do we receive any different weights(weight kit)as some websites say we do but others say just a headcover ? I purchase a weight kit every two years, this year you need two weights kits...one for driver and one for FW...the weights are different sizes. Hi Gary, When a pro shop places an order for a 917 driver (or fairway), they will be asked what swingweight is desired. Let's assume you wanted the standard swingweight. With standard neutral weighting, you will receive your 917 driver with the neutral weight in the head and the matching draw/fade weight in the bag. So if it is 12 grams, you will have the 12 gr neutral weight in the head and the 12 gram draw/fade weight in a bag with the driver. The different weights, 8, 10, 12, 14 and 16 are only for changing swingweight. There is a swingweight kit that can be purchased if you want to play with making the swingweight heavier or lighter. They are not going to affect ball flight or curvature more or less because you have changed the weight. What does affect the curvature of ball flight is using the draw/fade weight instead of the neutral weight as well as the surefit adaptor. We did have another post earlier asking about a VDO that said that changing the weight affected his spin, but the balance of each CG weight is such that they affect swingweight and have a very minimal effect on CG. Any secondary effect on speed or spin was due to the swingweight being heavier or lighter. Cathy, how do I buy a 14 gram draw/face weight for my 917 D2? I purchased one on line, and was too thick to fit into the driver head. Hi TT, Please could you tell me will the weight kit be available to the general public and if so do you know a rough price that it will cost in the UK. Hi Scott, The 917 weight kits will be available some time after the launch, and will also be available in the UK. We would recommend ordering the 917 driver with the swingweight that you want rather than wait to get a swingweight kit as these will be delayed until all initial driver/fairway orders have shipped. When you order a 917 driver, you will receive a pouch with the wrench, extra weight (either draw/fade or neutral depending on what is in the head) and performance guide. When you order the 917 fairway, you will receive the extra weight and the performance guide. I was fitted for the 917 D3 with the pro speeder 74 x stiff with the 14 gram weight what swingweight would that be? Hi Mike, Assuming standard length of 45", stock Tour Velvet grip with standard wraps - it should be a D5 swingweight. In our testing, we found that players performance and consistency was increased with a slightly higher swingweight and our new 917 metalwoods reflects that new swingweight (if ordered standard). A player can still order it with a lighter or heavier swingweight, if desired. Increasing my swing weight from 12G to 14G or 16G (all neutral weighting) will have what primary performance effect? 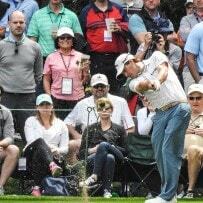 Launch angle or spin rate or ? Do not assume draw or fade enters into the equation. Thanks. @EricB- Did you ever get a response or find the answer through a fitting? I feel confident in my choice of shaft, surefit setup, and swing weight bias (i.e draw/fade) but did not have access to play with different weights on the monitor. Would like to know if there is generally accepted logic of how increasing/decreasing swing weight impacts ball flight (if at all) or is it just swing speed/ball speed. Thanks to anyone who can answer. Hi, Looks like a couple of questions were not answered here. Increasing or decreasing the swingweight does not have any direct impact on ball flight characteristics such as spin or launch. However, there could be a secondary effect of increasing speed or hitting it in the center of the face, which could affect launch and spin. If you take the CG weight out of the head all together, the club is not playable under USGA rules because there is an "open" hole into the head via the end cap. On the 917 driver with a 10 gram weight, the swingweight depends on shaft, flex, shaft length, grip and wraps. Using our standard shafts with stock grip at std length, the swingweight could range from D1-D4 depending on the shaft and flex. Hi, what's the standard swing weight for 917D2? With a Aldila Rogue Silver 110MSI 70X shaft that plays at 44.5in, what should be the CG weight used to achieve the standard swingweight? Hi. Based on 917D2 with Aldila rogue silver 110MSI 70X shaft that plays to 44.5in, what should be the weight used to achieve the standard swing weight? The standard swing weight is D2? The standard swingweight with a Rogue Silver at 45" is D3. You would want to use a 16gram black weight to get to D3 at 1/2" short assuming standard grip, wraps, etc. Please make sure you request that swingweight when ordering the club as they will not know what swingweight you are trying to achieve without guidance. On a 917f2 fairway wood, when putting in the weight for a draw, which direction does the arrow on the weight go, toward the hotel or the reverse? If I buy the Aldila Rogue MAX 65 Stiff and have it cut 1/2” (down to 44.5”), what head weight would I have to buy to keep it within that standard D1-D3 range? 14g? 16g? I have a 917 D2 driver with the stock Diamana Red 50 x5tc reg flex shaft. Comparing my driver to 2 others that friends have, mine is like 1/2" longer. The other drivers have not been modified and were purchased new. I didn't realize this till we were trying out each other's drivers. My question, did the 917 D2 come stock with a 45 1/2" shaft? If I shorten it to 45", will I have to change weight to get get it to stock swing weight? Currently if has the 12g draw/fade weight installed. Also, where can I get a stock grip like the one that came with the driver. Can't seem to find one.